For the first TINYhr interview, I had the pleasure of sitting down with Jeremy Irish of Groundspeak. Groundspeak is one of the most successful and influential Seattle companies a lot of people have never heard of. If you’ve ever gone geocaching or heard of someone who has, you can thank Groundspeak, which is the parent company of Geocaching.com. If you haven’t been initiated into this addictive pastime, geocaching is a real-world, outdoor treasure hunting game using GPS-enabled devices. Participants navigate to a specific set of coordinates and attempt to find the geocache container hidden at that location. There are geocaches hidden worldwide. Jeremy first started Groundspeak in 2000 as a hobby with the goal of getting people outside. He wasn’t in it for the money. When traffic to the site exploded, he incorporated the company, fearing lawsuits if someone twisted an ankle or got lost while searching for a cache. He first named the company Grounded Inc. to remind people associated with the company to remain Earth-bound. Plus, the prizes were hidden on the ground. This culture of groundedness and humility really came through in my conversation with Jeremy. Everyone in the company is called a “lackey” because their goal is to serve their burgeoning community of enthusiastic users. To further embody this culture, the company’s first furniture was purchased from failing dot-coms in an effort to remain frugal. Jeremy’s reasoning for the unique choice of providing compensation reviews before measuring performance is that everyone just wants to know the number during the review. Why not hand them the number first and get that out of the way? Then the real review begins. Having employees assess themselves is a useful process for managers who conduct reviews. They also provide an opportunity for the employee to be heard. Jeremy doesn’t sense that self-assessments are unfair or skewed. On the contrary, he’s impressed by how critical and balanced the reviews are. Maybe this sprouts from the culture of humility? Jeremy established a tempo of weekly 1-on-1s with his three direct reports. These typically last thirty to sixty minutes and provide a venue to share what’s going well and what’s blocking them. He’s heard very enthusiastic feedback from reviewees, who thank him for a structured 1-on-1 instead of just a casual conversation. Groundspeak hired their first full-time HR person when they hit fifty employees. Now they have two full-time HR employees. These folks make sure that reviews are conducted and also archive and store them. Jeremy referred to culture quite often during our interview. He thinks that every company should name or brand their team members. Similar to how Yahoo has “Yahooligans” or how Groundspeak has “Lackeys.” This rallies people and reinforces the culture. I love Jeremy’s focus on culture. “Lackeys” is such a great term since it connotes service and humility to his clients. I think I’ll need to get creative to come up with a team brand that embodies our vision, mission, and values. Then it’ll become another addition to our company brand and lore that I can add to make the job req, interview, and onboarding even more robust. I came away very impressed that what was only a hobby in 2000 has grown to a seventy-person success story in a dozen years. I’m amazed at how critical people are of themselves during the review process, since most people are actually concerned about the opposite effect. 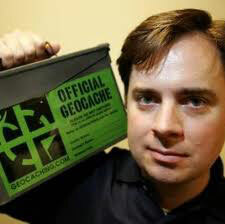 Few people know the trajectory that Geocaching.com has been on, or that it’s based in Seattle. I think that’s just the way Jeremy and the company of humble lackeys like it to be.